My Economics tutor’s favourite saying was “Inflation is the greatest social evil”. But when we talk about inflation, what do we really mean, and what do we really understand? We’ve been groomed to understand that inflation is the published measure of RPI or CPI. No, this is not inflation, but rising prices. These price rises are a consequence of inflation, which properly defined is an increase in the money supply. Changes in the quantity of money in existence combine with the velocity of money (the frequency with which that money is spent within the domestic economy) to move prices. In the short term these things get some added spice through imported price inflation with a weakening currency, taxation, and changes in excess capacity. But in the words of Milton Friedman, and certainly in the long-term, “Inflation is always and Everywhere a Monetary Phenomenon”. We have become accustomed to the separation of cause and effect, as part of the dumbing down of knowledge necessary for states to get away with their ill-conceived policies. Many years ago when I was studying economics, the BBC News used to give changes in the Money Supply and the Balance of Payments equal billing with RPI and unemployment. They were, and remain, fundamental measures of our economy, but sadly traditional media has fallen asleep at the wheel. The old favourite, RPI, is an arithmetic mean of all the items it comprises, i.e. the total price of everything in the basket divided by the number of items. RPI also includes housing costs such as mortgage interest and council tax. CPI, in contrast, is a geometric mean, multiplying all the prices together and taking the root of them. CPI also excludes housing. I understand on good authority that geometric means tend to create a lower level of increase, which is why government increasingly likes to use it. We then have variations of these, such as RPIX, RPIY and a new one RPIJ, and interpretations such as “core inflation” which depending on who is talking exclude volatile things like energy costs, although why these aren’t important to individuals and businesses beats me. The Bank of England in its latest quarterly bulletin explains that much of inflation is accounted for by “the persistent contribution from administered and regulated prices.” Too right. Substitution: If the price of something rises, it is assumed that people switch to a cheaper alternative. So if you like slices of lime in your G&T, but the price doubles, you may decide to switch to lemons if they have only increased by a third. The price rise of 100% is masked and replaced by one of just 33%. If you keep buying limes, well, officially, more fool you. Weighting: If the price of something is rising too fast, it gets weighted down, on the basis that people will probably buy less of it. That may be the case with some things, but most of our expenditure is necessary, and if we need food, clothing, energy, healthcare or transport it is because we have to buy it to function. Take the latest January 2013 CPI data, which shows annual price rises at 2.7%. Food, whose CPI rose by 4.5%, represents 9.3% of the basket of goods, whereas last year it was 9.8% of the basket. I would have thought that most people are not only spending more on food, but allocating a higher proportion of their weekly purse on food. But, officially, no. Likewise, “Electricity, gas and other fuels” prices have risen by 4.5%, but the proportion of the basket is down from 5.6% to 4.8%. Hedonics: This takes subjective improvements in products such as computers and TVs and turns them into price reductions even when no price reduction takes place. If the latest gadget has a bigger screen, is faster or has greater storage, it is deemed that you are getting more bang for your buck, and the price has dropped even if it has stayed the same. What is the largest price drop within CPI? “Photographic, cinematographic and optical equipment”, down 30% on the year, following a drop of 24% the previous year. Now I’ve not bought a camera in the last 2 years, but if you have and prices have really halved please let me know. The computation of inflation numbers worldwide can involve masterful degrees of official trickery. Take Argentina, which has recently been publicly censured by the IMF for the inaccuracy of its inflation calculations. The opposition who claim that it is really 23% challenge official claims of 9.5%. Now the poor opposition individuals face fines of $115,000 for questioning the government’s data! And they mean it, researchers were fined last year! Perhaps we should be grateful that our own data has rather more modest shortcomings. The official Argentine response is to freeze prices at the largest supermarkets for 2 months, but how that will ever encourage more producers to make more products available to reduce prices is hard to fathom. If anything it’ll lead to the temporary with-holding and shortage of goods, and in the longer-term discourages planting / breeding / production / investment, and hastens the demise of smaller shops who had previously provided some element of competition. A great example of official policy likely to cause the opposite to the intended result. John Maynard Keynes famously stated, “By a continuing process of inflation, government can confiscate, secretly and unobserved, an important part of the wealth of their citizens.” This is important, not just because we want a flourishing society, but because other data that shows “real” change is dependent upon accurate inflation data. Whilst I have challenged the shortcoming of GDP (here) there is nominal GDP, and inflation-adjusted real GDP. If inflation is understated, then real GDP will be overstated – and in a political environment where so much store is put on headline real GDP this is serious indeed. There are many who point to this variance as the explanation for the difference between their personal and business experience compared to official statistics. States love inflation, and hate deflation. If you borrow money it is useful to be able to pay it back in depreciated currency, and boy, do states love to borrow. It is put about that deflation is a social evil. The story is told that if prices are falling, why would anyone buy, as they know that what they want will be even cheaper next week, even cheaper next month, and far cheaper next year. This lack of consumer spending and investment will apparently plunge GDP into a death-spiral from which it can never recover with mass unemployment and general impoverishment. Very droll. But one recurring theme in real Economics is that the economy comprises millions of individuals, making hundreds of individual decisions. 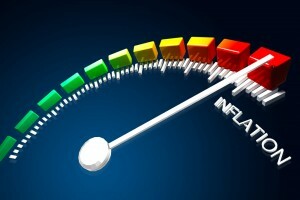 So how do individuals react to deflation? The basic fact of life is that when we spend money it is because we need or want the goods or services now. Everything from food, clothing, energy and a roof over our heads are the bare essentials, and not things that we can even think of deferring our spending on. Sure, at the margin, there are some decisions that can be deferred, like a new car. But then those who want a new car can already buy a cheaper new, or second hand car, as cars can already be bought at an infinite variety of price points. No need to defer, just buy at the right price point, consistent with your needs and wants on reliability, brand desirability and so on. In my experience one is more likely to defer purchases forever if prices are rising out of reach, than if pricing are falling towards your desired price point. Buyers have a price, and sellers have a price. Free trade is about matching the optimum number of buyers with the optimum number of sellers, and in a rising or declining market this is what happens. Different buyers and different sellers all have different current and future price expectations that end up being matched within the free marketplace. We are currently living through a period of stagflation, where inflation, especially of essentials, keeps pushing ever onwards, against the background of a stagnant economy and significant unemployment. Economists have developed the “Misery Index” (inflation + unemployment) to track this, and it has recently been at its highest for two decades. Stagflation typically occurs when the economy experiences a shock that disrupts its productive capacity, or inappropriate policies on money supply and excessive regulation. We’ve seen the lot. Prices may seem relatively benign to those in work, but even 3.5%pa inflation will double prices over 20 years, 7% over 10 years – not much fun if you are on a fixed income – but great if you are a state trying to inflate away your debts. The idea that people are worse off if prices fall is a fiction. If food and energy prices reduced would you not be delighted? It would leave surplus funds to put towards other things you want to do – from repaying debts, to a few treats, to affording a home which you previously thought would be out of reach, to a great holiday. Savings are preserved rather than denuded, with greater wealth becoming available for investment. What is not to like? It is certainly a better environment for our children, to whom inflating asset prices will push more and more things out of reach. J M Keynes continued his statement, “There is no subtler, no surer means of overturning the existing basis of society than to debauch the currency. The process engages all the hidden forces of economic law on the side of destruction, and does it in a manner which not one man in a million is able to diagnose.” When you think of people and the government, this rather makes you wonder who is serving whom? Over history man’s ingenuity has made things better, cheaper, and items that our forbears could never have dreamed of are within normal reach. It is the natural outcome of capitalism. Smocks and pitchforks are out, international travel and kumquats are in.